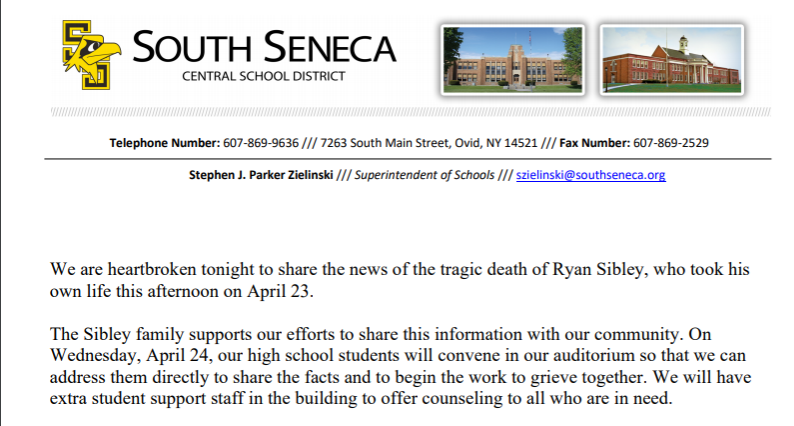 As it turns out – Saturday won’t be as bad as initially expected. There won’t be as much rain; and temperatures for the Finger Lakes should stay relatively mild. In fact, some parts of the region could push into the mid-60s by afternoon with breaks of sun. Here’s how it will all play out over the weekend. Temperatures will hold steady around 50 today. It’ll be mostly cloudy with a chance of rain showers. Most of the precipitation should be contained to the morning hours, though. The afternoon could even see some breaks of sun. Don’t expect the kind of sun the region saw on Wednesday. Things will stay mild tonight; and temperatures will climb through the morning on Saturday. By the afternoon, breaks of sun and warm temperatures are likely. Most of the region should see highs between 60-65. Precipitation moves in during the evening; and temperatures fall hard overnight. By Sunday, a little snow on the ground will be possible – and highs will be in the 30s to around 40 degrees. Good Friday morning! I am tracking some batches of steadier rain & lighter sprinkles NOW through the lunch hour today. Expect some big swings & impacts to occur between through Sunday. 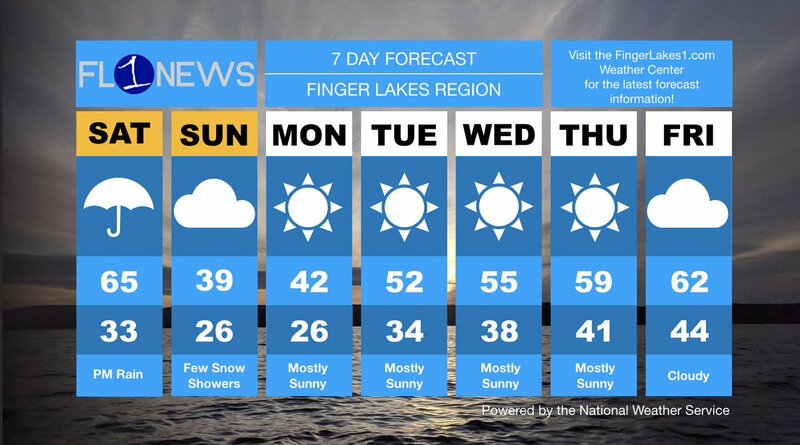 Check out the extended forecast below, or visit the FingerLakes1.com Weather Center for the latest.